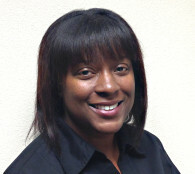 At its regular meeting on December 9, 2015, the Board of Trustees of the Peralta Community College District approved the appointment of Yashica J. Crawford, Ph.D., as Special Assistant to the Chancellor and Chief of Staff. Dr. Crawford, who most recently held the Chief of Staff position at the Solano Community College District, will take up her post at the Peralta Colleges on January 4, 2016. “We are fortunate to have been able to lure her to the District at a time when we are reaching out to our community and elevating the District to much higher level,” Dr. Laguerre added. Dr. Crawford comes to Peralta from the Solano Community College District, where she served as Chief of Staff since 2014. While at Solano, Dr. Crawford had the pleasure of working with Chancellor Laguerre on a host of district initiatives and collaborations, including a Bachelor’s Degree in Biomanufacturing which was accepted as one of 15 community college programs statewide that will be offered beginning in 2017. As an Executive Team member, she has supported the district with policy and procedure revisions, establishing partnerships with local school districts and district strategic planning as well as strengthening services to students. Prior to her work at Solano, Dr. Crawford served as Assistant Professor and Program Chair of Psychology at Patten University. Previously, she also served in many capacities with the San Francisco Unified School District. In her role as Board Liaison in Superintendent Richard Carranza’s Office, she supported the Board of Education and the Cabinet with strategic planning, goal prioritization and district evaluations. She also served as Manager of the ExCEL After School Programs, a collaborative of 97 after school programs serving elementary, middle and high school students. Dr. Crawford also previously served at Executive Director of Moving Forward Education, an organization providing tutoring and mentorship to K-12 students in Oakland and throughout the Bay Area. Dr. Crawford graduated with high honors from Howard University with a BA in Political Science and a BS in Psychology. She received a MA and Ph.D. in Educational Psychology from the University of Florida. She has been married to her husband Cesnae Sr. for 13 years, and they have two children Cesnae Jr., age 9 and London, age 6. “I am excited to be joining the Peralta Colleges at a time when their potential is being realized and the community is recognizing the importance that our community colleges play in providing quality education for all students, no matter their background,” Dr. Crawford said. “I look forward to the challenges ahead as we work to bring educational programs to our community,” she added.